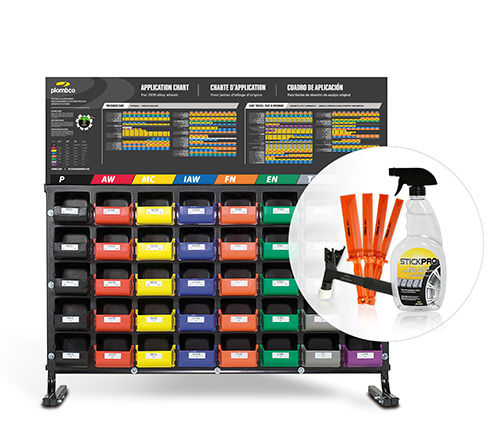 Whether you need an assortment rack or a start-up kit, we have what you’re looking for. Getting your garage organized improve technician’s productivity and reduces customer returns due to improper uses. The flexibility of the Plombco program makes it easy for everyone from small garages to large tire shops to benefit from using the various types of coated weights. Check out our full assortment kits for more details.